WASHINGTON — The United States Holocaust Memorial Museum will confer its 2019 Elie Wiesel Award, the institution’s highest honor, on two recipients this year at its National Tribute Dinner on April 29. Both recipients each have advanced our common humanity in exceptional ways: Serge and Beate Klarsfeld through their extraordinary contributions to Holocaust memory, education and justice; and the Syria Civil Defence, commonly known as The White Helmets, through their remarkable courage, saving lives at enormous personal risk. Established in 2011, the Elie Wiesel Award recognizes internationally prominent individuals whose actions have advanced the Museum’s vision of a world where people confront hate, prevent genocide and promote human dignity. 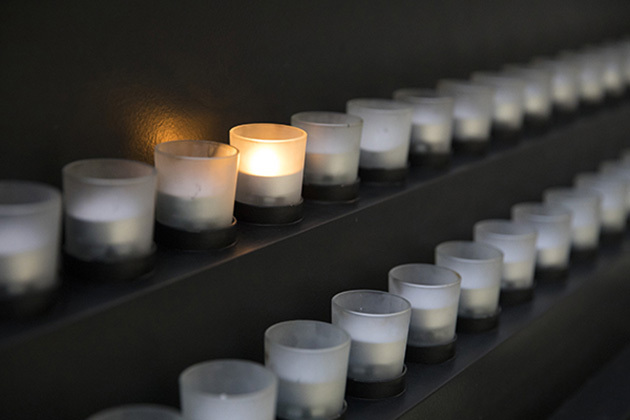 The awards will be presented during the Museum’s annual 2019 Days of Remembrance, when the Museum leads the nation in remembering the victims of the Holocaust. At the dinner, the Museum will also present its National Leadership Award to two visionary leaders from the Mid-Atlantic region for their contributions to preserving Holocaust history and its relevance for new generations: Shelley and Allan Holt. The son of Holocaust survivors, Allan Holt serves as the vice chairman of the Museum and chair of its Strategic Advancement Committee. Serge and Beate Klarsfeld have demonstrated extraordinary leadership in the cause of Holocaust remembrance and singular leadership in combating the impunity of perpetrators of the Holocaust era and advancing Holocaust memory and education. Serge played a key role in the prosecution of high ranking Nazi officials and French collaborators including Klaus Barbie, René Bousquet, Jean Leguay, Maurice Papon, and Paul Touvier. Beate Klarsfeld boldly confronted former Nazis serving in the West German government, and Serge Klarsfeld conducted path-breaking research on child deportees and the Holocaust in France and Romania, including documenting the stories of thousands of French Jews sent to the gas chambers. The Klarsfelds have aggressively campaigned against antisemitism in Europe and the Middle East, and to confront massacres elsewhere, such as Sarajevo and Burundi. The largest civil society organization operating in areas outside of government control, the White Helmets is a volunteer organization comprised of people from all backgrounds — bankers, tailors, engineers, pharmacists, painters, carpenters, students, and many more — that operates in parts of Syria and Turkey. They conduct search and rescue operations in response to bombing and gas attacks, medical and other evacuations, and essential service delivery including reconnecting electrical cables, providing safety information to children, securing buildings and more. At enormous risk to themselves and their families and in the face of horrific attacks by the Syrian government, the Syria Civil Defence have courageously saved lives and delivered critical services to a desperate population. Their motto is “To save one life is to save all of humanity.” To date, 261 members of the White Helmets have been killed while saving more than 115,000 lives. 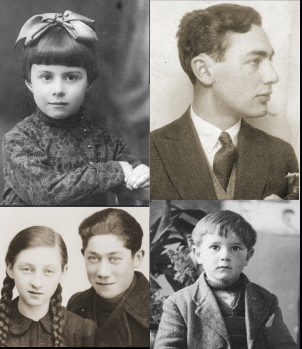 Previous recipients of the Museum’s Elie Wiesel Award can be found here: https://www.ushmm.org/information/about-the-museum/the-elie-wiesel-award. The Museum’s National Tribute Dinner will be held on Monday, April 29, at 6 p.m. at the Washington Hilton. The event’s co-chairs are Pamela Kurland and David Marchick. About 1,200 people, including some 45 Holocaust survivors, will be attending the event. The National Tribute Dinner supports the Museum’s $1 billion campaign, Never Again: What You Do Matters, which allows the Museum to make critical investments to keep Holocaust memory alive as a relevant force for change — inspiring people worldwide to confront hate, prevent genocide and promote human dignity. As part of Days of Remembrance, the Museum will commemorate those who perished in the Holocaust with the annual Names Readings. The readings will be held daily in the Museum’s Hall of Remembrance from Monday, April 29, through Friday, May 3, from 10:30 a.m. to 4:30 p.m. Museum visitors and members of the community are invited to participate. More information on Days of Remembrance activities can be found at ushmm.org/remembrance/dor.